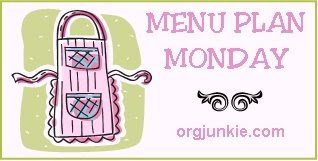 Frugal & Fabulous: Menu Plan Monday! What's on your menu plan this week? View more menu plans at orgjunkie.com!